Thanks to TIFF’s announcement, we got to know about this animation film. Satyajit Ray’s acclaimed and an all time favourite film across the generations, “Goopy Gyne Bagha Byne” has now been animated into “Goopi Gawaiiya Bagha Bajaiiya”. It will have its world premiere at this year’s Toronto International Film Festival. The first trailer of the film is out. 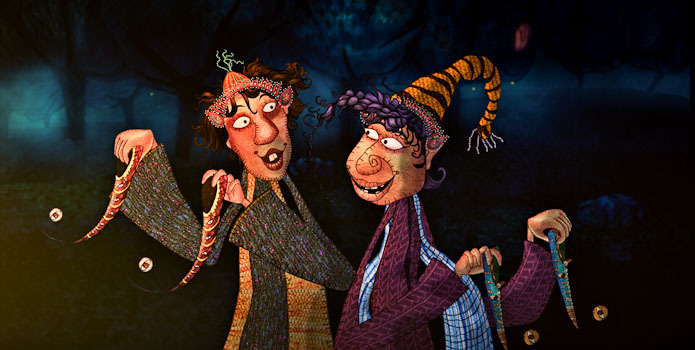 Official synopsis – A captivating animated adaptation of a cherished children’s classic by Satyajit Ray, this timeless fable is the story of Goopi and Bagha, a pair of musicians gifted with magical powers by the King of Ghosts.